Совместимость: Требуется iOS 8.1 или выше. 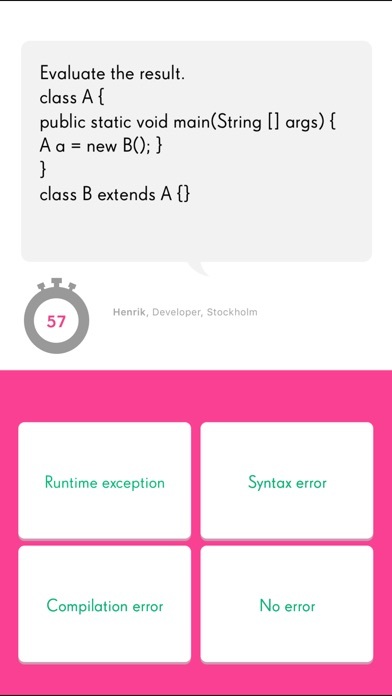 Can you master the King Pro Challenge? 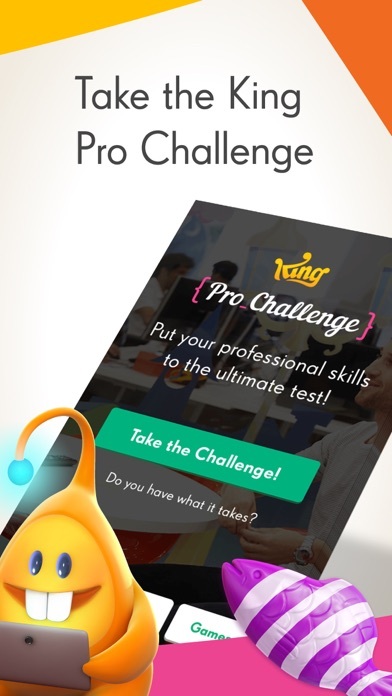 Available to download for FREE, King Pro Challenge is the game for industry professionals looking to test their skills, knowledge and game development credentials. 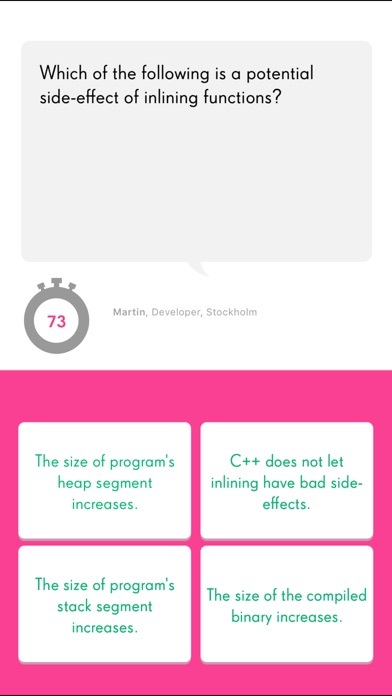 Choose from six Seriously Playful challenges, post your score and share with friends to see if they can beat your best. 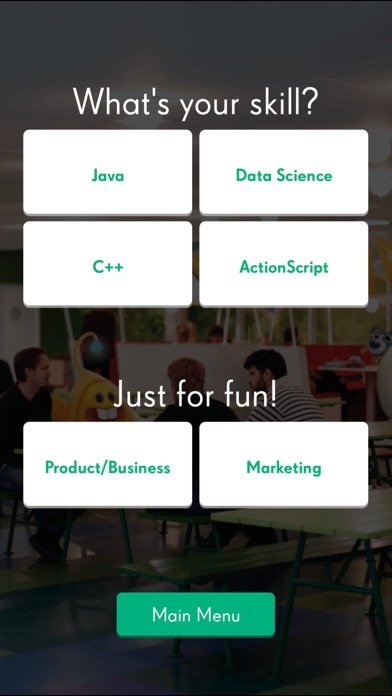 •	Java •	C++ •	ActionScript •	Data Science •	Marketing •	Product / Business Have fun completing the challenges, find out more about King and our culture, and ultimately discover if your skills match our ambition. 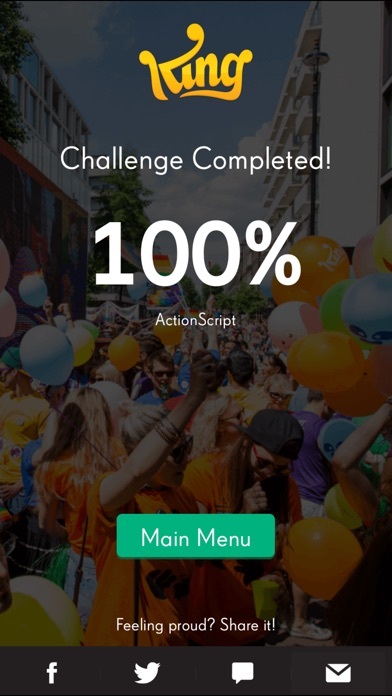 Play the King Pro Challenge today.